Stumbled upon this super cute angel which was a freebie here, she is coloured with the promarkers and has frosted lace stickles on her wings. The sentiment is my own creation using Garineldo font. Have also used: Cuttlebug embossing folder, Crafts Too embossing folder, Marianne snowflakes dies, pearls from Meiflower, charm and ribbon from stash. Gorgeous card! 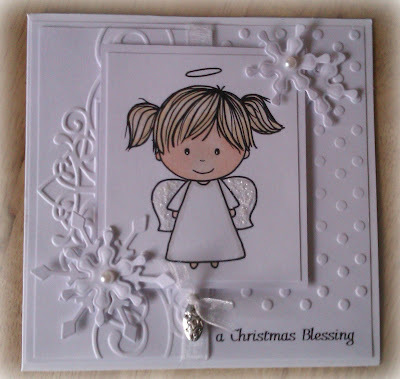 I love the white on white details and the Angel is the perfect focal point. Thanks for participating at Created With Love Challenges. Oh this is super cute Lisa - love the WoW - so elegant. Just found on your blog Lisa. 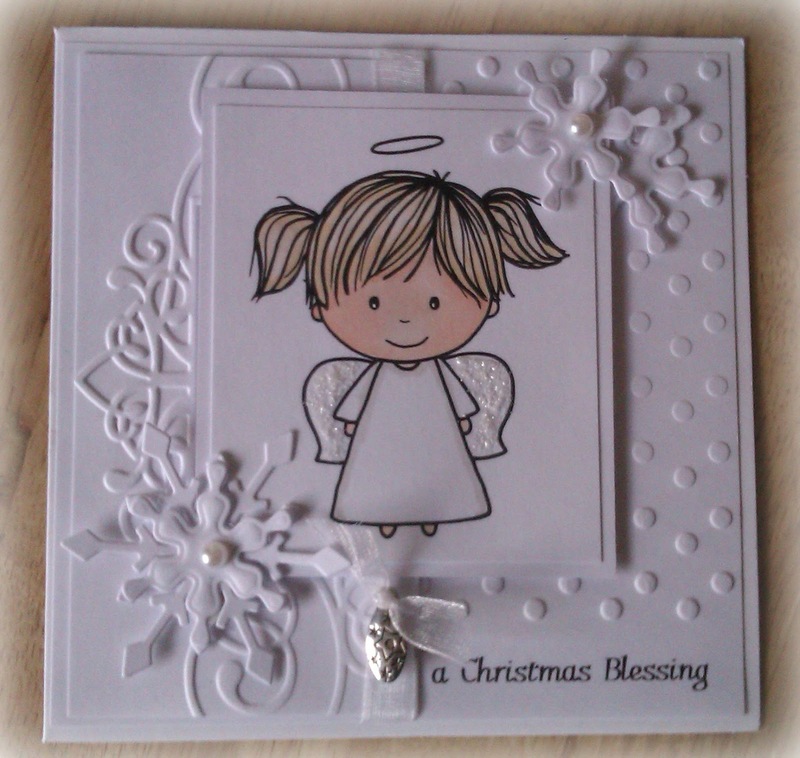 What a lovely white on white card such a cute image. Wow I love the white on white you used and that image is darling. Thanks for playing along with us at Created with Love challenges. This is so gorgeous, Lisa!! Thanks for joining us at the Pretty Little Ribbon blog. Awww that's just sooo cute Lisa! Love the WoW as well. What a beautiful card Lisa, I love white on white and this is stunning! Another gorgeous card Lisa , thanks for joining us at Forever Friends Monthly 'Anything Goes' Challenge, Good luck in the draw.